I am not sure if this is authentic Chinese sesame tofu or Japanese or just American. All I know is that it’s inspired by Asian flavors and makes a great vegetarian one pot meal for meatless Mondays. Thanks to my mom’s best friend who showed me how to make this. 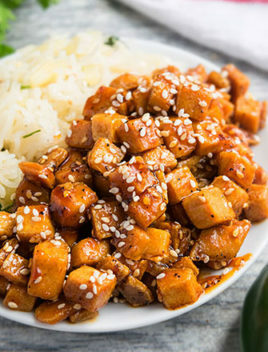 How do you make sesame tofu? Pan fry tofu on stovetop. Add ginger, garlic, soy sauce, vinegar, honey, Sriracha, salt, pepper, red chili flakes, water and cook until liquid thickens. You must use extra firm tofu to prevent tofu from crumbling during cooking. You must drain and press the tofu to get rid of excess liquid. Don’t replace sesame oil with olive oil because that little bit of sesame oil does add some necessary flavor. Use toasted sesame seeds because it enhances the flavor and fragrance. Use low sodium soy sauce because this will prevent the meal from becoming too salty. Finely chopped green onions can also be used for garnish. This is best served over rice or noodles. Adjust the amount of Sriracha sauce and red chili flakes, based on your preference. Pan fry it on the stovetop in a little oil until golden brown and crispy. Deep fry it until crispy (fried sesame tofu). Coat it with cornstarch prior to baking, frying or even pan frying for maximum crispiness. For any of these methods to work well and yield the best results, tofu should always be pressed to get rid of excess liquid/ water. Can you eat raw tofu? Yes, you can eat it raw although it’s very bland and does not have much flavor until it’s cooked with herbs and seasonings. How long does it take to press tofu? It takes a minimum of 30 minutes up to 1 hour. The longer the better because it will drain out maximum liquid from tofu. Place a thick clean kitchen towel on a table. Place the tofu on top of the towel. Place another thick clean kitchen towel on top of the tofu. Place something heavy on top of the towel such as a heavy skillet or some heavy books for 30 minutes up to 1 hour until liquid from tofu is pressed and released. 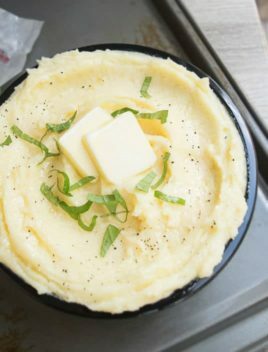 This is slightly different than my recipe below and can be made in advance and used as a glaze for baked/ grilled chicken or beef. 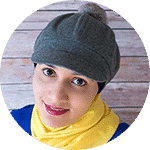 Add olive oil, sesame oil, honey, ginger, garlic, soy sauce, vinegar, salt, pepper, red chili flakes, 4 tbsp water and 2 tbsp cornstarch in a nonstick saucepan. Mix and cook over medium high heat until sauce thickens. 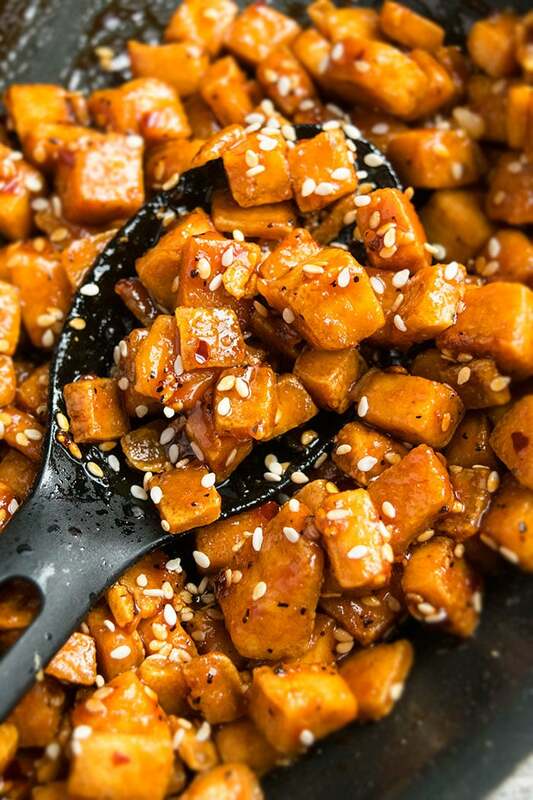 Ginger Sesame Tofu– Omit the garlic and replace it with ginger. You can also add more ginger, if you like. Broccoli Sesame Tofu– Add 1/2 cup frozen broccoli florets when you add all the seasonings and let it cook until sauce thickens and becomes tender. 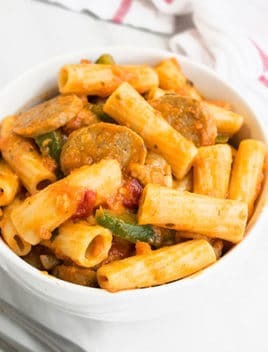 You can add sliced green peppers and red peppers. Sesame Tofu Salad– Add your favorite greens, sliced red peppers and green peppers in a salad bowl. Arrange the cooked tofu on top of the salad and toss some toasted sesame seeds and. Drizzle some soy sauce and sprinkle some red chili flakes and toss finely chopped green onions on top and serve immediately. Sesame Tofu Noodles– Toss this cooked tofu and its thick sauce with some boiled noodles. 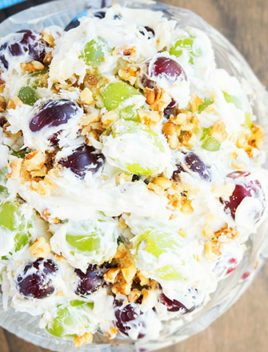 Garnish with green onions and sesame seeds and enjoy. 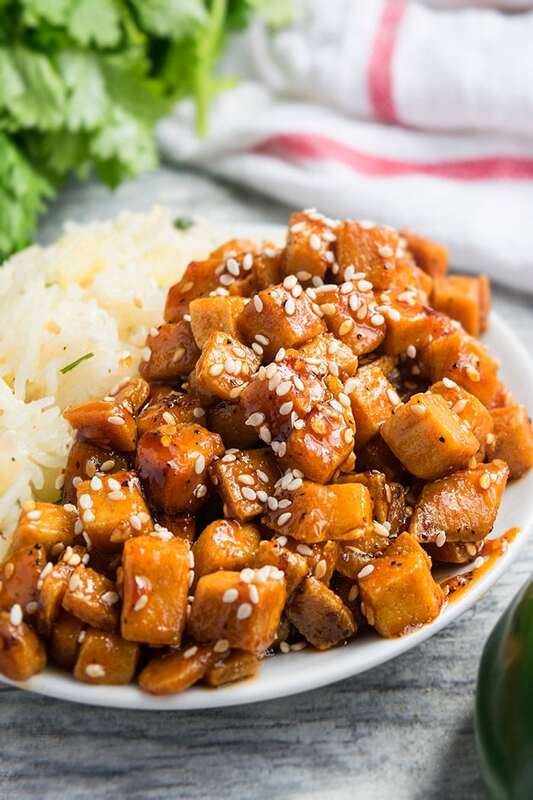 Sesame Crusted Tofu– Drain and press tofu and cut it into 2 inch square pieces. Dip them in whisked egg that’s been seasoned with salt, pepper, Sriracha, lemon juice, soy sauce and then coat them in breadcrumbs and sesame seeds. Pan fry them until sesame seeds are golden brown. 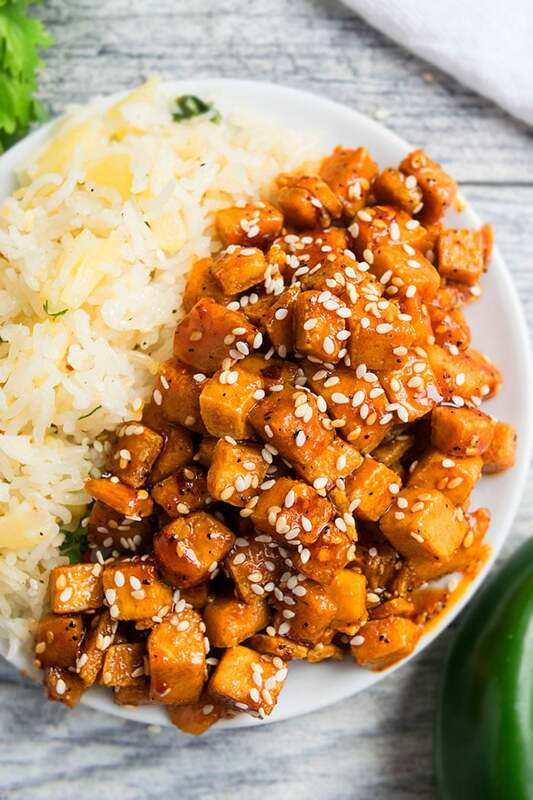 Quick and easy honey sriracha sesame tofu recipe, made with simple ingredients. 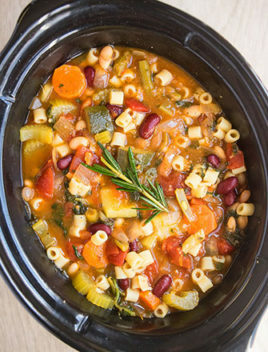 It's a 30 minute, vegetarian, sweet and salty one pot dinner idea. Heat sesame oil and olive oil in a nonstick saucepan over medium high heat. Add cubed tofu and saute until golden brown. Add ginger, garlic and saue for about 1 minute until fragrant. Add soy sauce, vinegar, honey, Sriracha, salt, pepper, red chili flakes, water and cook until sauce is reduced and thickens to your desired consistency.